Search various online shops in one step. Is there a better alternative to Goodies? Is Goodies really the best app in Reference category? Will Goodies work good on macOS 10.13.4? 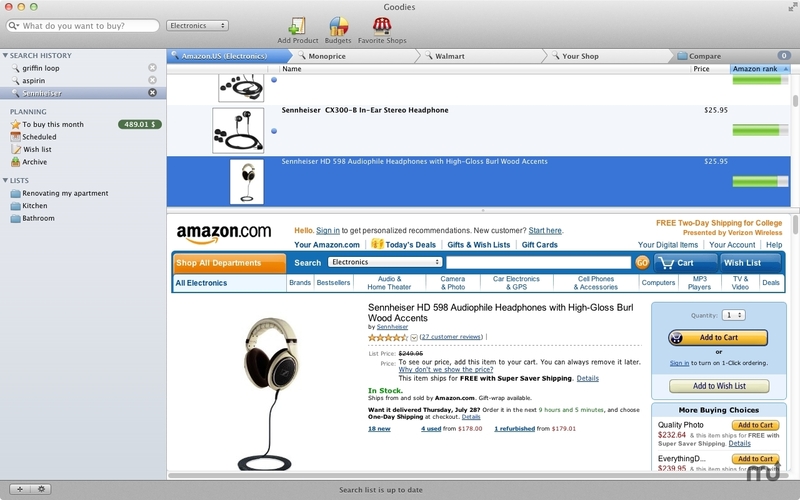 Goodies allows you to search various online shops in one step. Just type in whatever you need to buy and compare offers from e-commerce sites of your choice. Organize your shopping using wish lists (projects), smart groups, and scheduled months. Goodies needs a review. Be the first to review this app and get the discussion started!